Emerald Green employs the unique properties of the blue butterfly pea flower and other ingredients to create a naturally bright green tea. 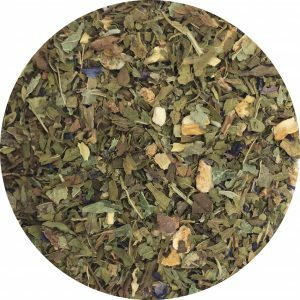 Cooling mint and soothing lemon balm make this tea a natural refresher. Naturally caffeine free. Allergen free. Non-GMO. Organic version available. 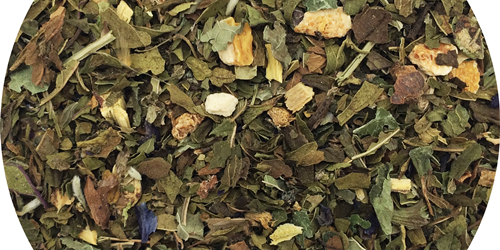 Peppermint, butterfly pea flower, lemon peel, lemon balm, licorice, and osmanthus flower. Radiant green and clear with cooling, calming minty notes.